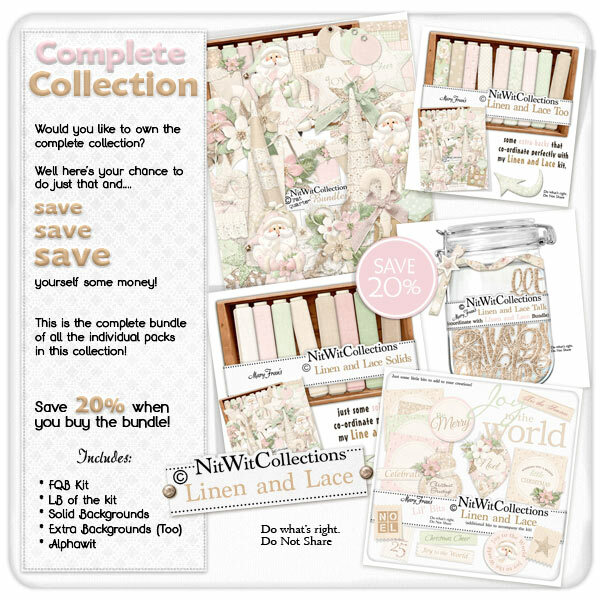 FQB "Linen and Lace" Collection brings Santa and the many wonderful Christmas elements to you in a more elegant and glittering kit!! We all love many styles of Christmas, and this is one of them for us. Santa in his finest suit....a beautiful Christmas bouquet and of course the sparkling and shimmering of so many elements that only Christmas brings to our homes. We hope that you enjoy a walk down this Christmas path and find many creative uses for this digital kit.